That would match up with some but not all of the renders we saw back in January when the idea of a triple-lens rear camera was first mooted. It's not clear how big the camera bump will be, if there is one. 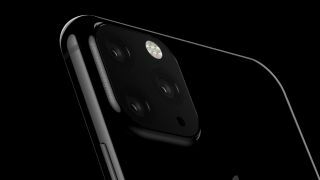 We're expecting the new iPhones for 2019 to emerge in September, and if they are featuring triple-lens rear cameras, they'll be the first iPhones to do so. Rumors and predictions are starting to trickle in for the new handsets. Apparently a fast charging upgrade isn't on the way, but Apple is said to be planning to upgrade the selfie camera as well as the one on the rear. We'll hear more about the software on board the iPhone 11 – iOS 13 – when Apple's 2019 WWDC event for developers gets underway at the start of June.